London, UK – Tuesday 25th August 2015 – Lightweight Sam Smith (pictured) has given Leeds boxing both an Anadin and a dose of Zip fuel. 3-0 as a pro, the two Eastern European opponents she faced in her first two bouts were so out of their depth it's a wonder they even made it onto the plane. They were disposed of, quickly and brutally, in a combined total of 90 odd seconds. The third, Zsofia Bedo from Hungary, put up a fight before being dispatched in the open air on August 2nd at Garforth Town FC. This was more significant. Bedo had some clue as to what to do and plenty ring experience. The Hungarian put up a fight but ultimately went down and out in the 3rd of an 8 rounder. Smith began as an amateur in 2007 and paid her dues on the semi pro circuit, racking up 25 wins against a couple of losses and a draw. She's sponsored as a pro by the Alliance company and promoted, managed and trained by Lee Murtagh. Murtagh, the founder of the Bethlehem Boxing Club in Leeds, is an ex pro and former two weight Irish champion. He knows the fight game inside out but the Sam Smith cyclone and it's army of supporters raises the expectations of even the canny Leeds born Irishman. Murtagh knows what it is to fulfil a dream. The 2014 acclaimed film "Fighting Down in Bethlehem" was made to honour Murtagh's own pro career. For those that don't know, Lee paid his dues over and over on the unforgiving Northern professional small hall circuit before fittingly ending his career in a celebrated fight in New York against Hector Camacho Jr in 2013. 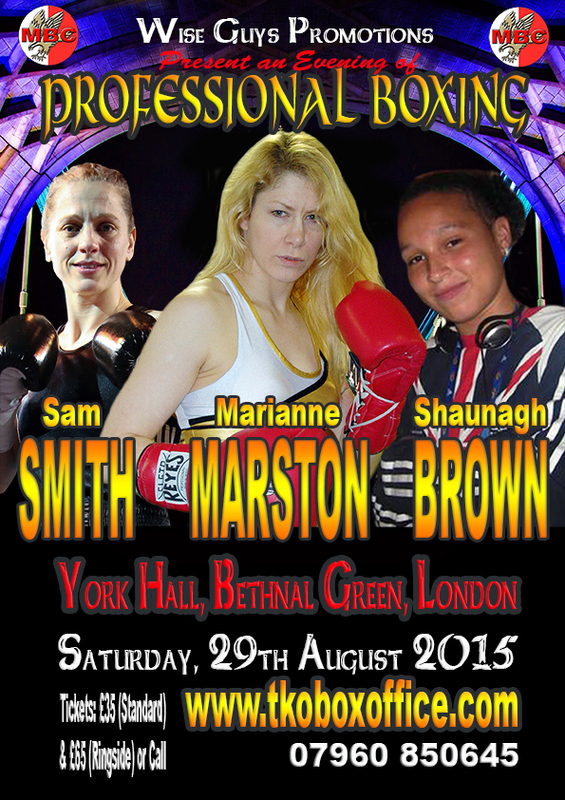 Come the 29th August 2015, his boxer Smith makes a dream of her own a reality by making a first performance at the Mecca of the Small Hall - York Hall Bethnal Green. That name resonates with UK boxers as the Colosseum did for the gladiators. Smith's supporters, aptly labelled Sam's Army, will descend on the smoky old venue like a horde of Leeds United supporters from the days of yore in the Premiership, except they'll behave themselves. Smith is 28 years old and No 27 in the independent world rankings. Her best years still lie in front of her. Lying in wait and ahead of her in those ratings are a host of Argentinians, Mex and Yanks who dominate the division, nearly all of them gunwomen. Sam's Army, with all it's volume, pomp and circumstance, will be needed when the serious tear ups happen in Mexico City, Buenos Aires or Las Vegas. And maybe Sam for all of Leeds and West Yorkshire will return home having fulfilled the biggest dream of all.